It is no secret that we are a society that is obsessed with celebrities. From gossip websites, to reality shows and tabloids, the evidence is everywhere. Experts say there is nothing wrong with this behaviour, as social beings it is normal to display curiosity about another human especially when they're exposed to us everywhere we go. Oftentimes in our quest for information about our favorite stars, we dig up some information that we really did not need to know. For instance, actress Demi Moore has a peculiar obsession that even the people closest to her consider weird. 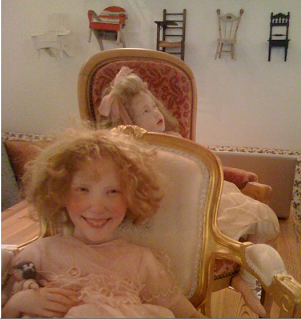 While regular folks like to collect art, antiques, stamps and comic books, Demi has her eyes set on vintage dolls. Apparently, the A Few Good Men star owns over 2,000 dolls and since they could no longer fit in her home, she built a special house for them. In 2009, during an appearance on the The Tonight Show with Conan O'Brien, Demi's ex-husband, Ashton Kutcher, confirmed the rumor to be true. "I think the dolls have souls. And they’re always looking at you – we have some in the bedroom and that makes things just weird," said Ashton. Ashton also revealed that on top of the nightmare-inducing, life-like vintage dolls, Demi also owns "thousands of Barbies and GI Joes." The Ghost actress has been collecting the dolls during her marriage to Bruce Willis and has them insured for millions of dollars. 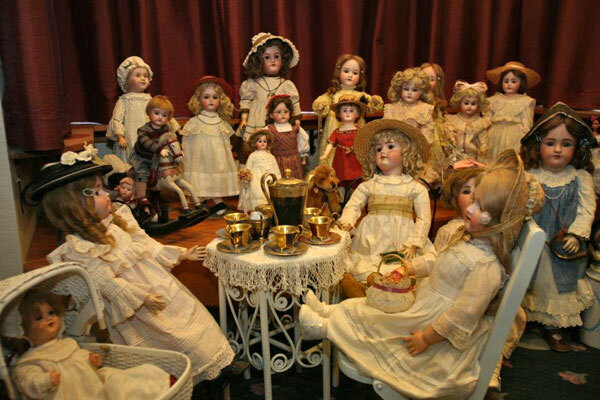 The collection includes porcelain and vintage dolls by artists from all over the world. 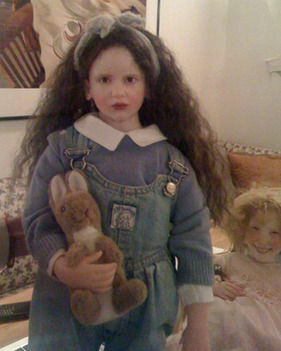 In case you were curious, Demi isn't the only Hollywood star who has a doll collection. Marie Osmond and Richard Simmons are also avid doll collectors. What do you think of Demi's interesting hobby? Share your thoughts in the comments!